Giving back is part of the Hillary tradition, and in particular, giving back to the Sherpa people who make all Everest expeditions possible. 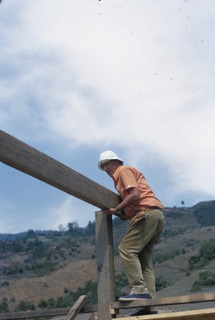 Sir Edmund Hillary was committed to building schools and medical clinics in the foothills of Nepal. It was his life's great work. 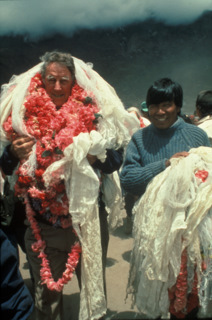 Ed Hillary built and ran 42 schools, hospitals and medical clinics in the Mt Everest region. Peter continues with this commitment visiting Nepal each year and working for the family of foundations that contribute to programmes in Nepal and across the Himalayas. He is on the board of many of the foundations and assists them with fundraising. The people of the Himalayas live in a harsh environment, with few amenities and services that Westerners take for granted. Help is needed for their health, education, and business development. If you would like to give to any of the projects the Himalayan Foundations work on, such as medical clinics or schools, please contact the Himalayan Foundation in your country. Each of these foundations has its own trustees, and does its own fund-raising within their country. American Himalayan Foundation http://www.himalayan-foundation.org/ (Peter is an AHF board member) This Foundation funds many projects including schools and hospitals, scholarships, bridges, water systems and the restoration of important cultural sites such as monasteries in Khumbu, in the Mount Everest region. The Sir Edmund Hillary Foundation of Canada http://www.thesiredmundhillaryfoundation.ca/ (Peter is a SEHF board member) The SEHF Canada funds Khunde Hospital near the foot of Mt Everest; forestry programmes and educational facilities. The Himalayan Trust Nepal http://www.himalayantrust.org (Peter is a Himalayan Trust member) Ed Hillary's original organisation and its Nepalese operational office. The Himalayan Trust UK http://www.himalayantrust.co.uk/ Wide ranging support of programmes in the Himalayas, particularly education, by a foundation started by members of the original 1953 British Mt Everest expedition. The Australian Himalayan Foundation http://www.australianhimalayanfoundation.org.au (Peter is an AHF Australia board member) The AHF Australia supports and runs an extensive teacher training programme throughout the Solu Khumbu Mt Everest region. The Hillary Himalayan Foundation (Peter is chairman of the board) This Foundation helps fund teacher-training for Nepalese teachers. The Sir Edmund Hillary Foundation of Germany. The SEHSD supports Paphlu Hospital and other work in the Mount Everest region.